A child wakes up to learn his city has transformed into an urban forest, and he and his friends must figure out why. Last night, when Cody DiMarco went to bed, life was the same as it's always been. But this morning he awoke in a new place victim to a magic older than time. Now four children must band together in order to restore their families (let alone our planet!) if they’re to solve the great mystery of . . . 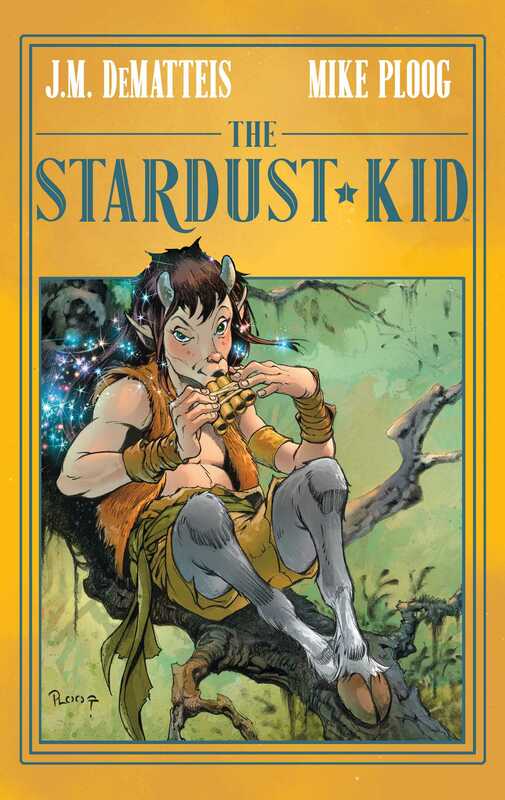 The Stardust Kid. From J.M. DeMatteis, the Eisner Award-winning writer of Justice League and Spider Man, and Mike Ploog, the artist of Werewolf By Night and Man-Thing, comes the long-awaited collection of their fan-favorite follow-up to Abadazad! This edition collects extensive behind-the-scenes material on the making of this vast and colorful world from the minds of some of comics greatest storytellers.